Bad thinking habits are unhelpful thought patterns that bring us down, sow conflict, and make stressful situations even worse. Identify and foil them with this helpful chart. Bad thinking habits are unhelpful thought patterns that bring us down, sow conflict, and make stressful situations even worse. Bad thinking habits are just bad news. Fortunately, we can identify and counter them with self awareness and a little bit of compassionate inner dialogue. 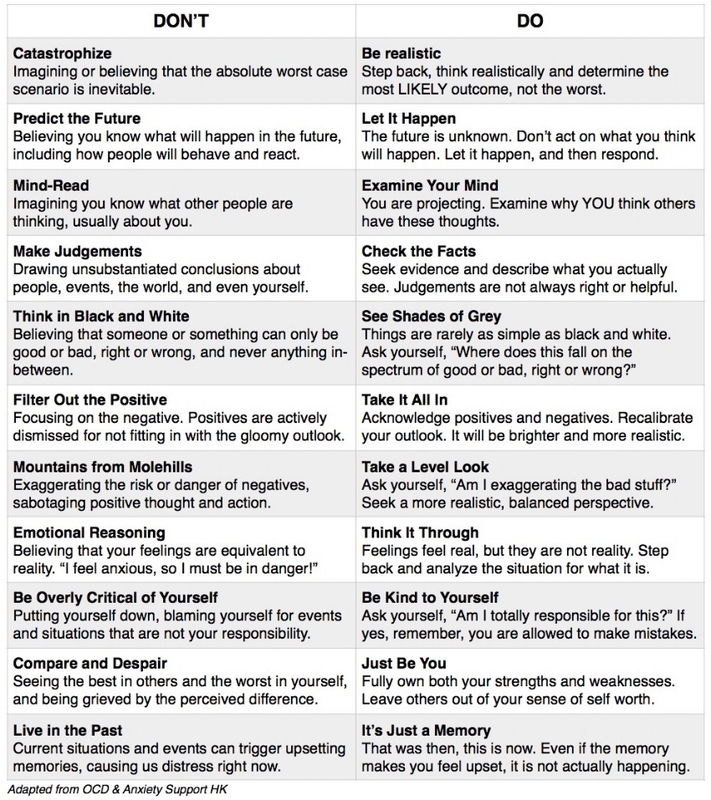 This decidedly helpful list of bad thinking habits — and their foils — will help you pinpoint and purge your mind of maladaptive mental processes. Sometimes we are overwhelmed by our feelings, or have difficulty seeing another side. One of the best ways to determine whether bad thinking habits are in play is to ask a friend for their perspective. Ask them, “How do you see this?”, “Is this unrealistic?”, or the other helpful foil questions suggested above. Be open to hearing the truth. Bad thinking habits can be hard to break. Contact us if you need help finding new ways to see the world.